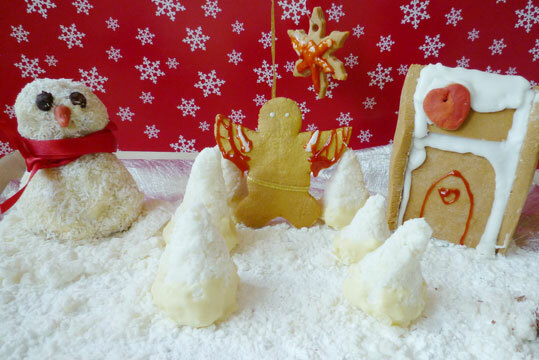 We ditch the traditional festive treats for something Scandinavian inspired mixed with Cellardoor’s creative handiwork: reds and whites, gingerbread with a touch of cinnamon (Swedish pepparkakor enthused) coconut ice and chocolate. Put together your creations on lined tray with silver paper and desiccated coconut and icing sugar and chop up flakes for logs. Why not make extra gingerbread cherubs and stars and hang them on the tree?